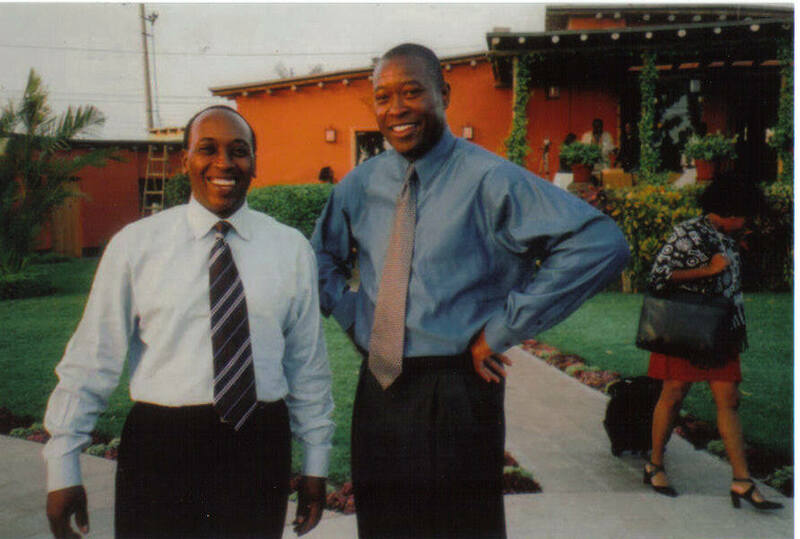 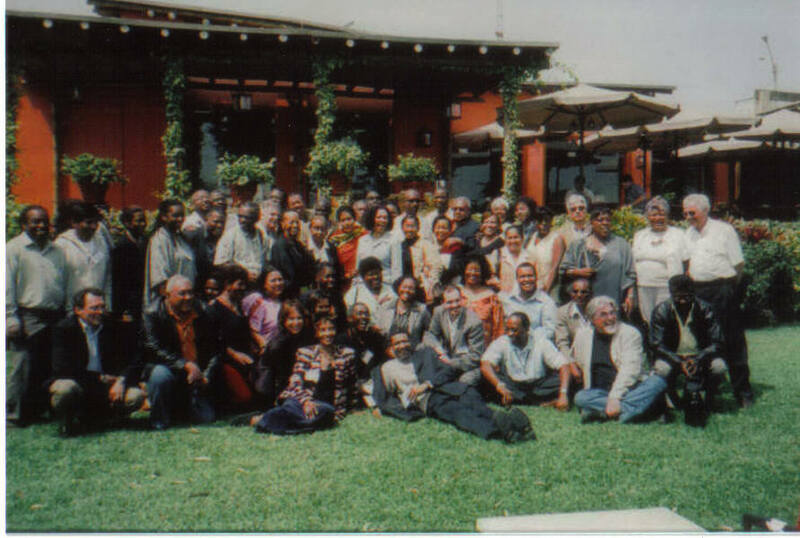 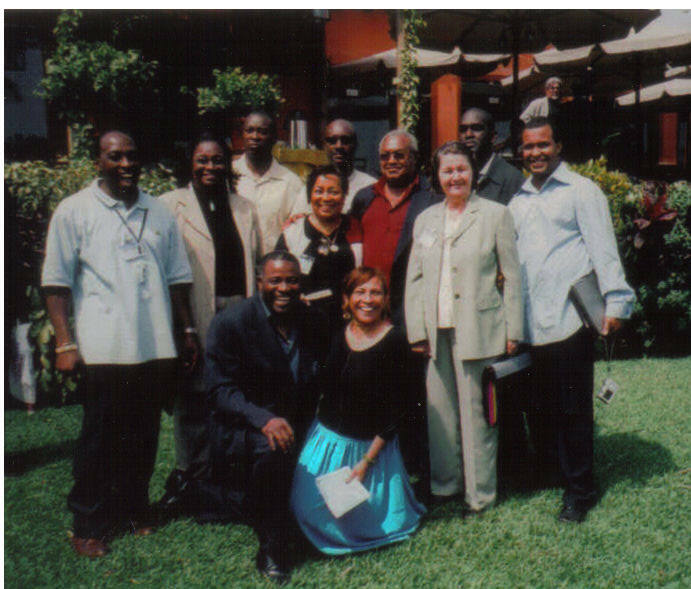 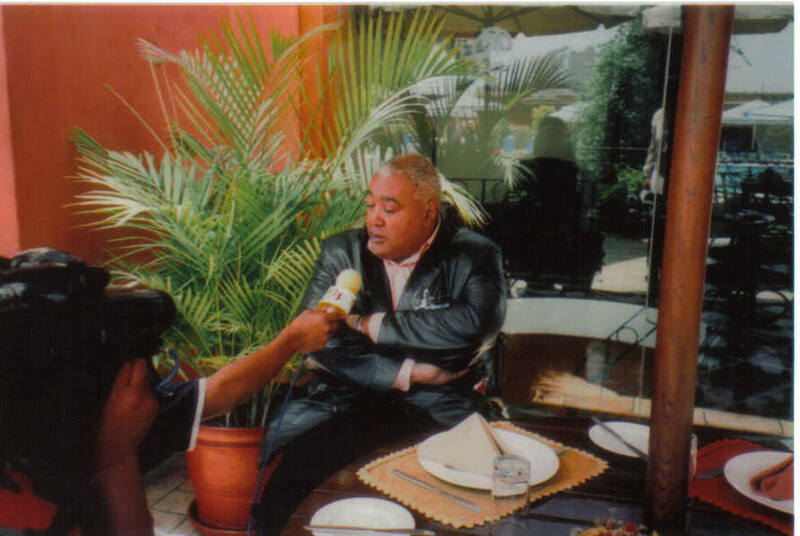 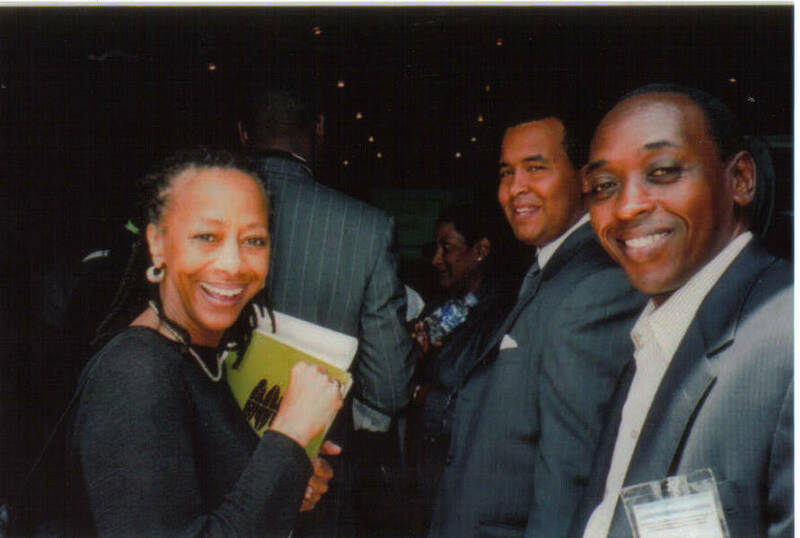 2005 – Afro-descendant leaders attend a workshop organized by the UN, and supported by AFRE, in Chincha, Peru. 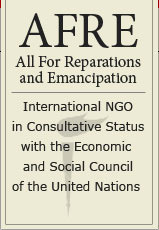 AFRE representatives: Back row: Jabari Akil, Raushana Karriem, Ajani Mukarram, Kamal Shabazz, Kamal Arshad, Ishmael Abdul-Salaam. 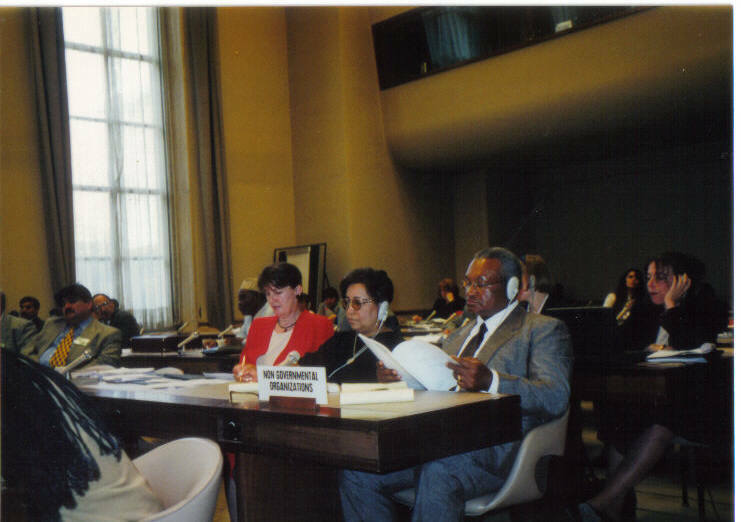 Middle row: Harriett AbuBakr Muhammad, Mr. Silis Muhammad, Ida Hakim. 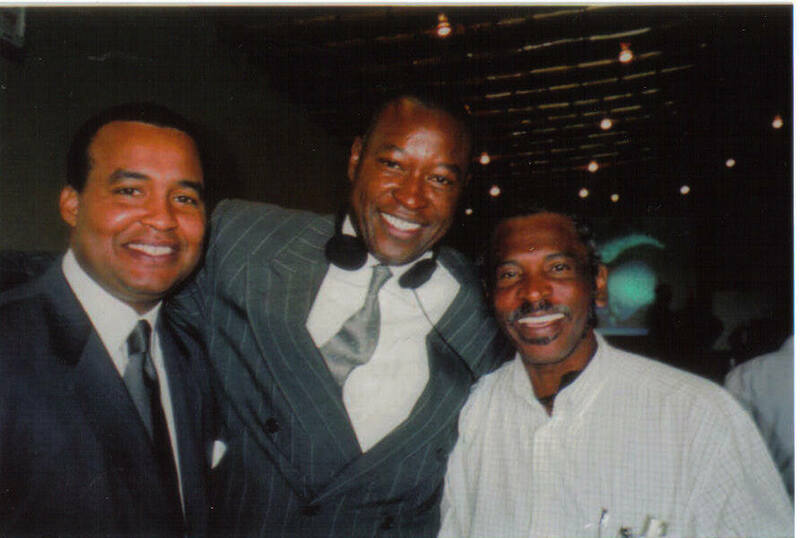 Front row: Husamideen Fedayeen, Ikhlas Fedayeen. 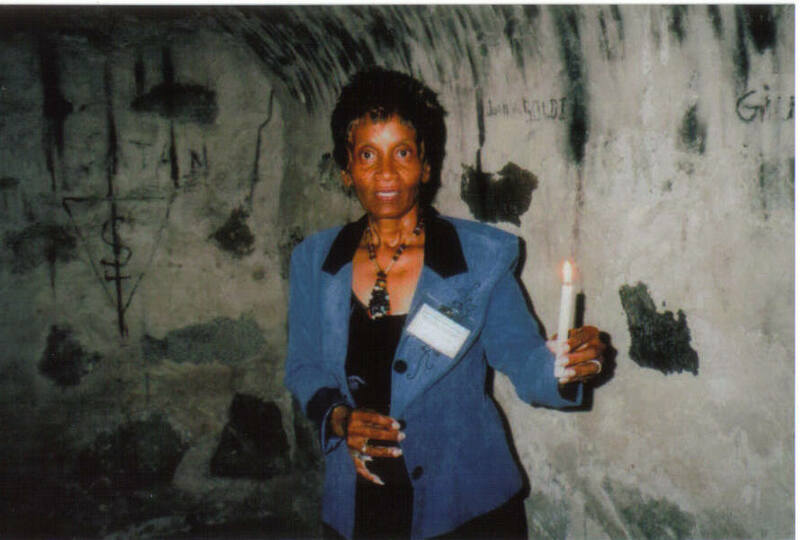 Queen Mother Dorothy Benton Lewis, member of the AFRE delegation, stands in a room within a tunnel that imprisoned captured Africans underneath Hacienda San Jose. 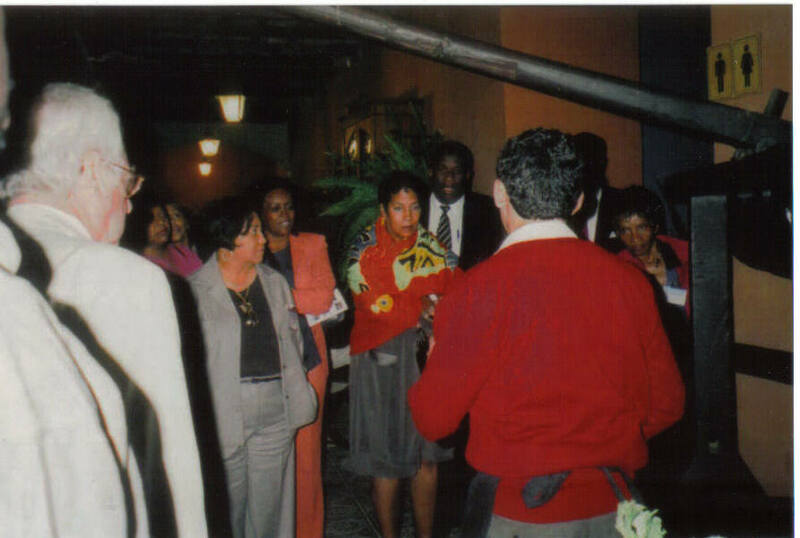 Group of conference attendees stand in prayer and commemoration after viewing the horrors of Hacienda San Jose. 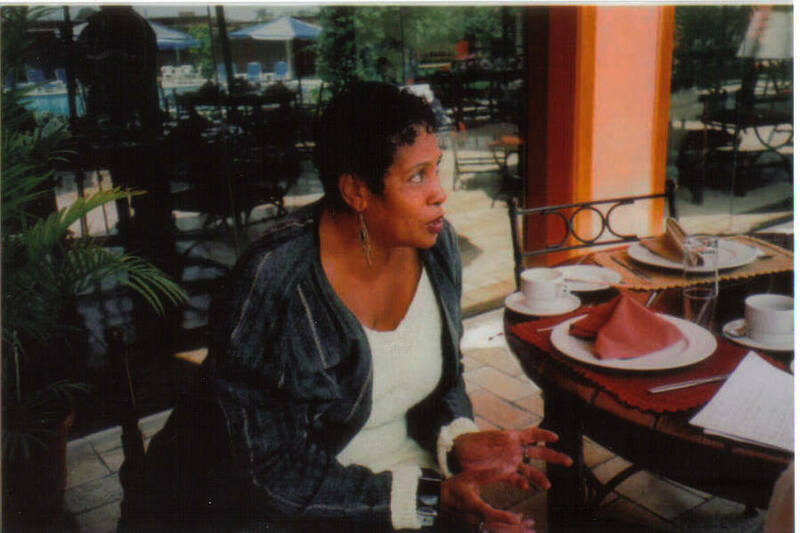 Harriett AbuBakr Muhammad looks on as Gisele Arandia speaks. 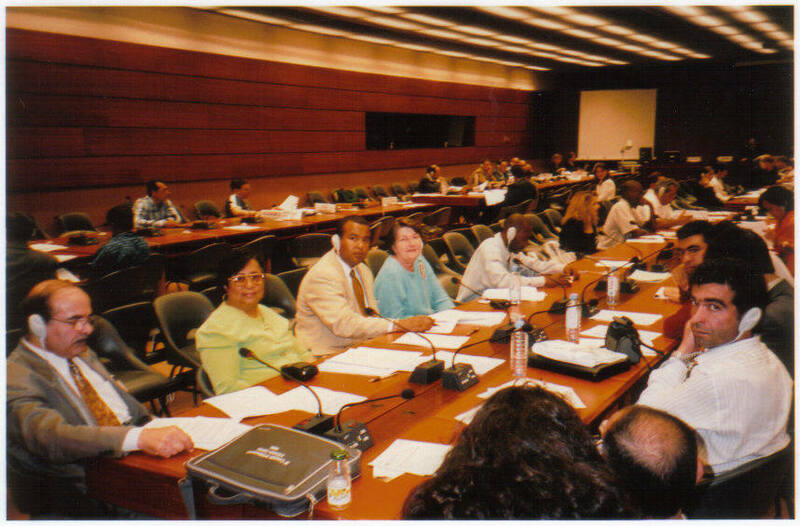 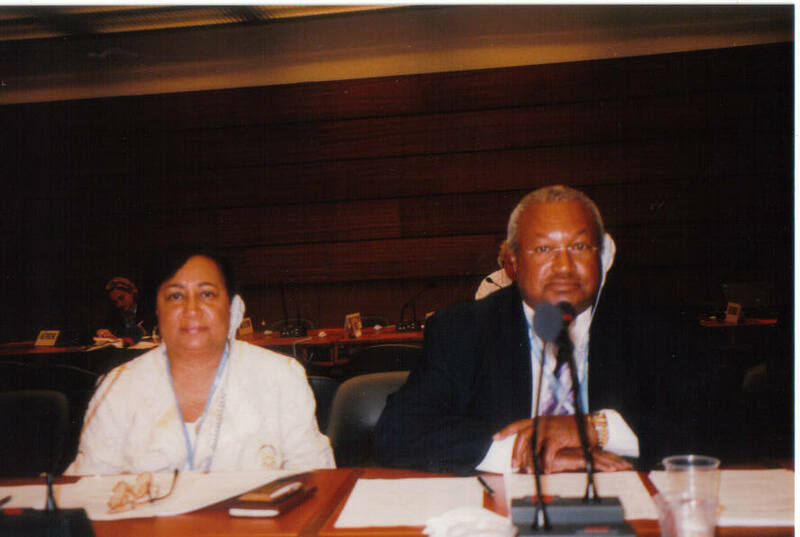 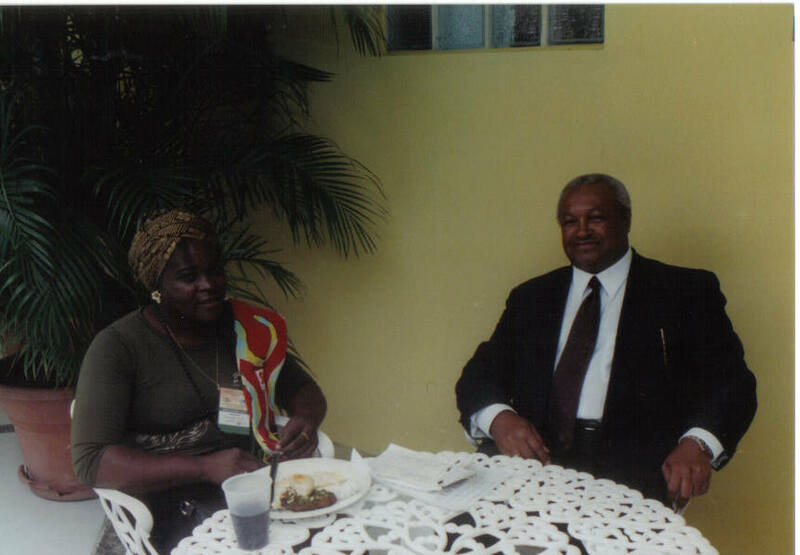 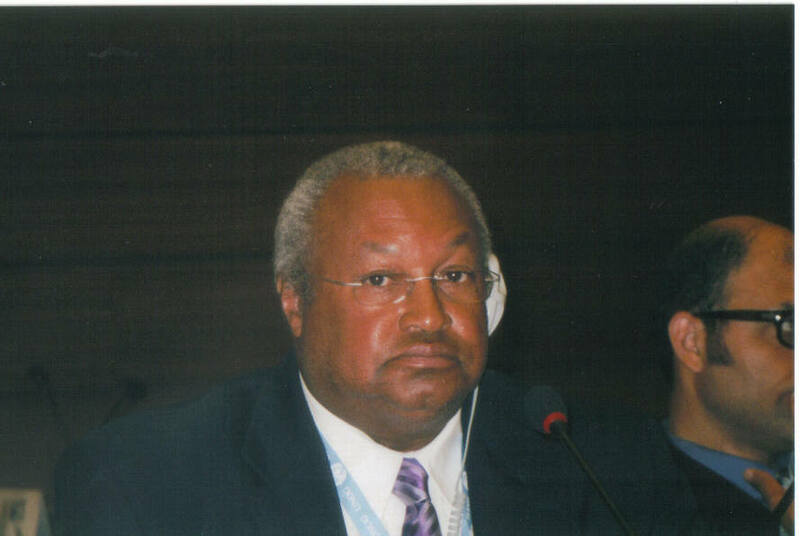 2001 to 2005 – Mr. and Mrs. Muhammad and AFRE delegates attended meetings of the Working Group on Minorities, Sub-Commission and Commission on Human Rights as well as meetings of the Working Group on People of African Descent. 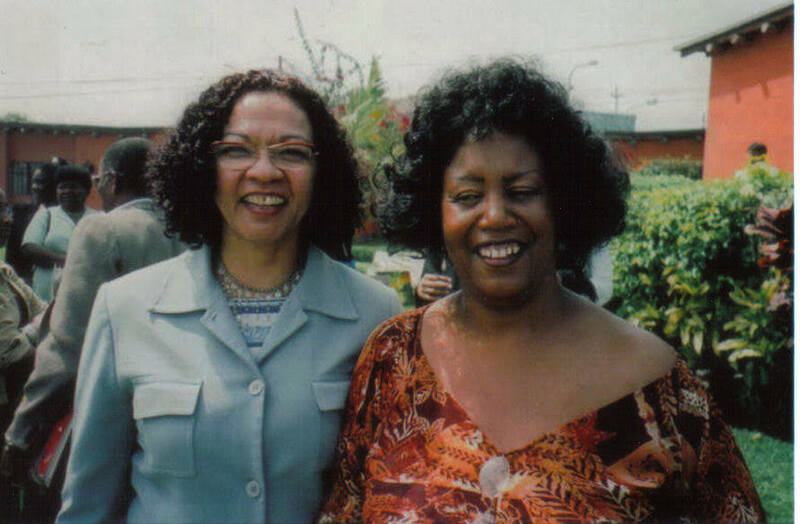 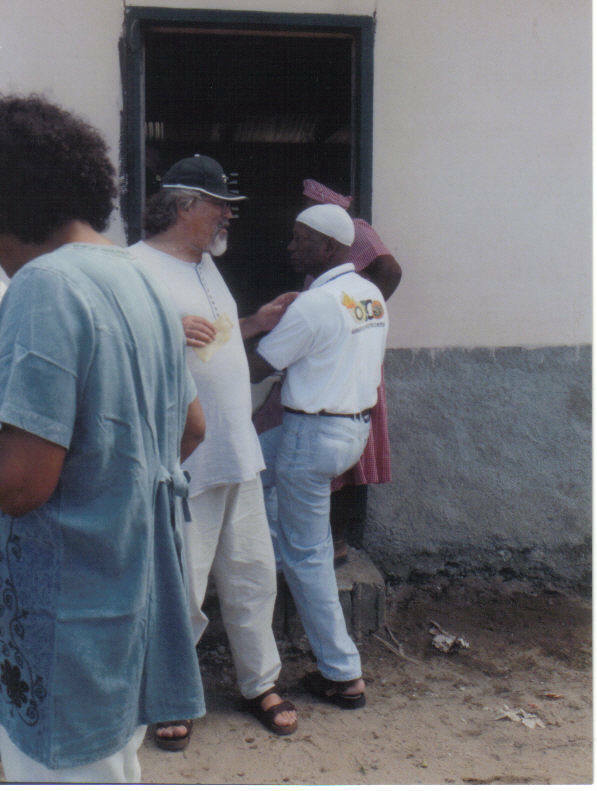 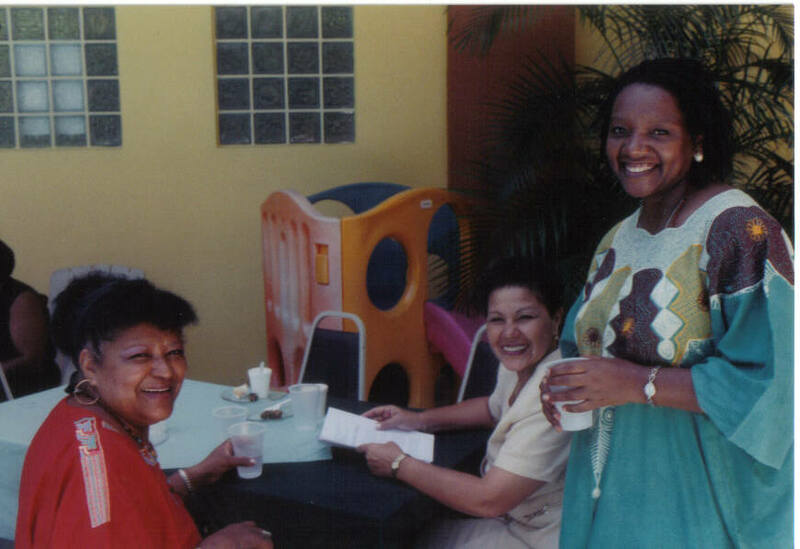 2001 and 2002 – AFRE attended a seminar for Afro-descendants in LaCeiba, Honduras, organized by the UNHCHR and Working Group on Minorities. 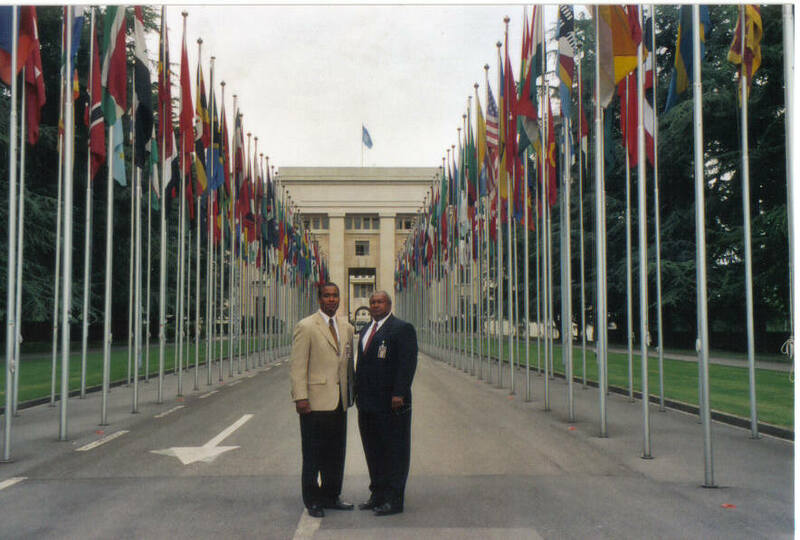 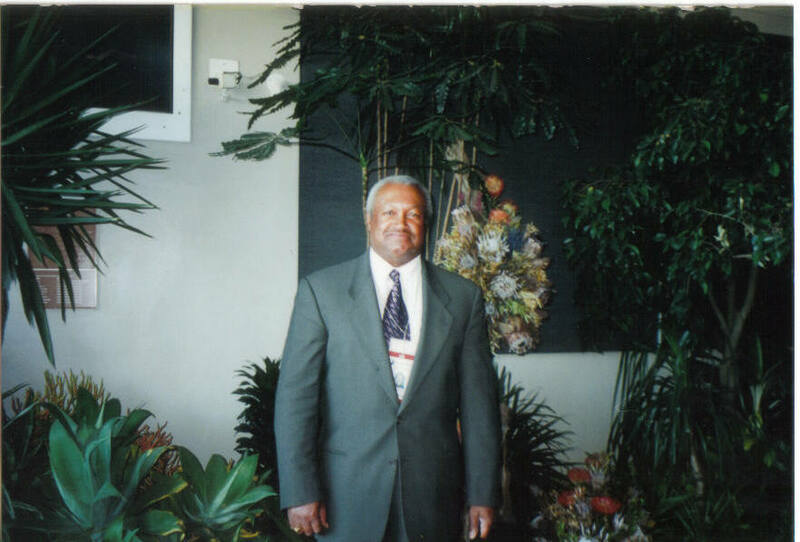 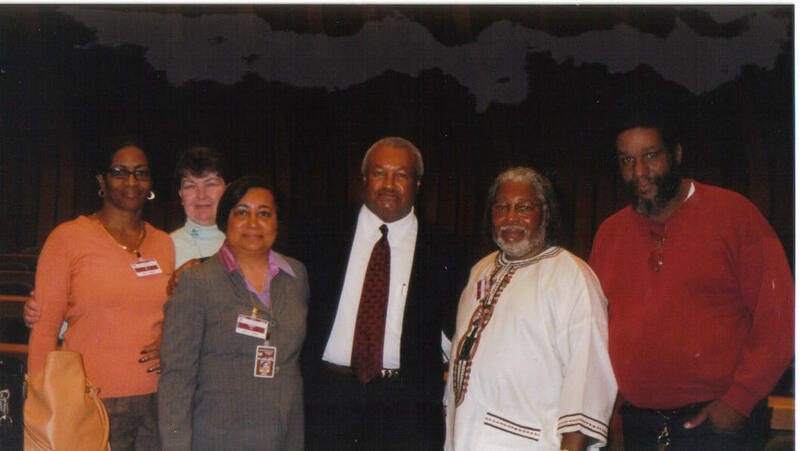 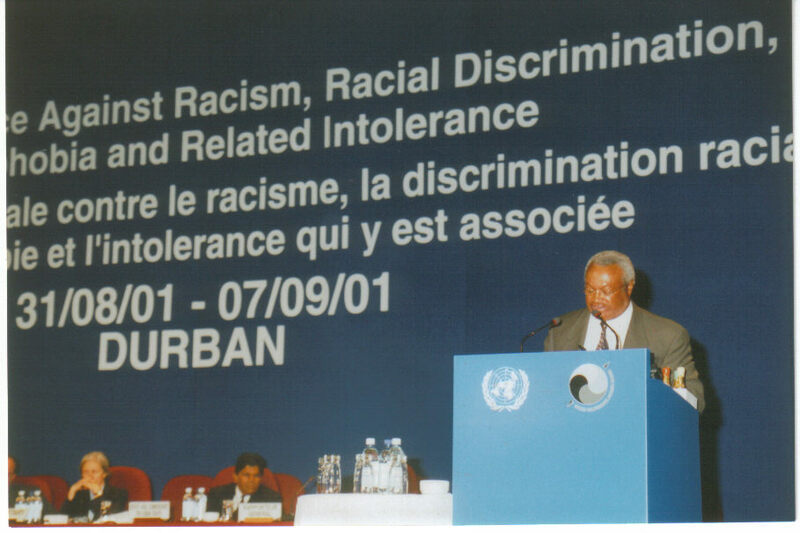 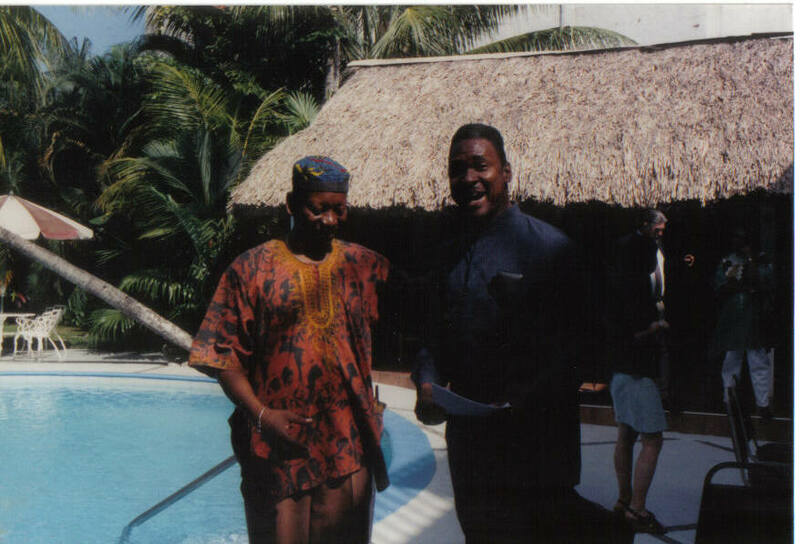 In 2001 Mr. Muhammad led a group of AFRE delegates to the World Conference Against Racism. 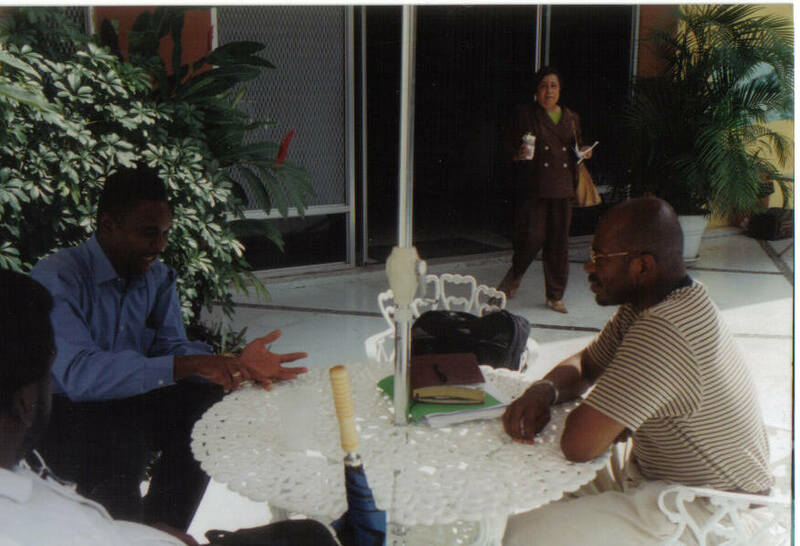 Gustavo Makanaky of Colombia meets with another representative in the courtyard. 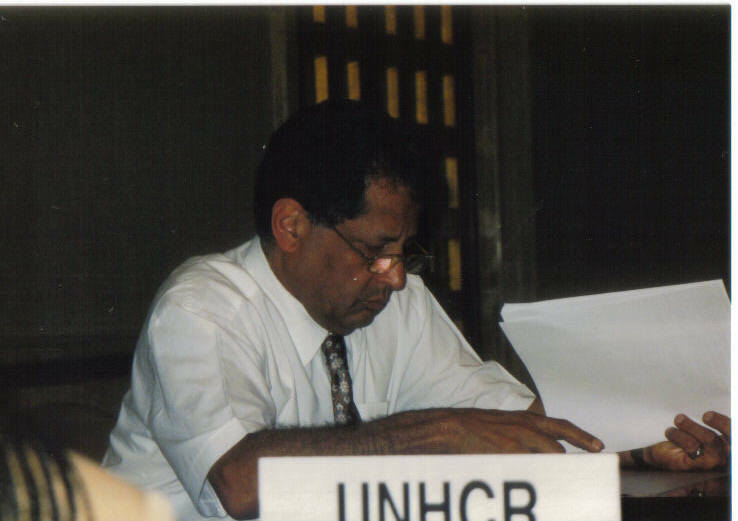 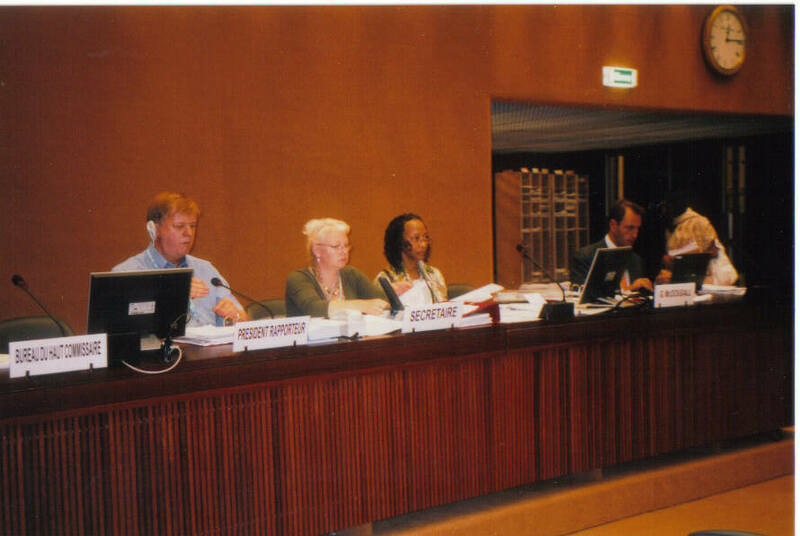 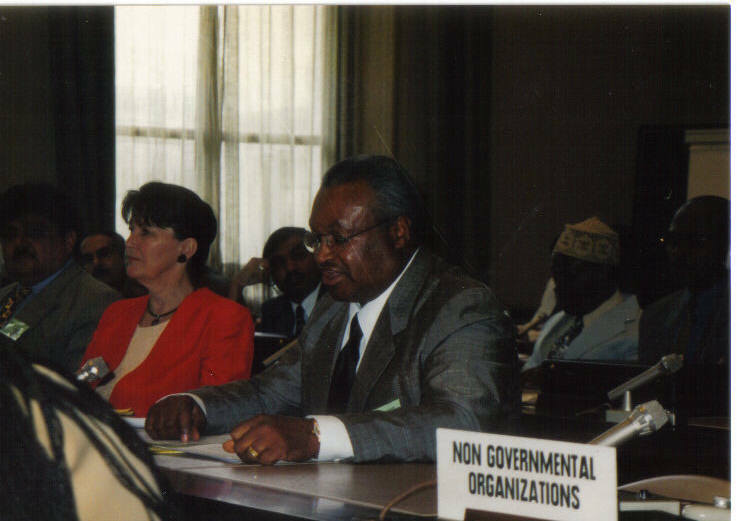 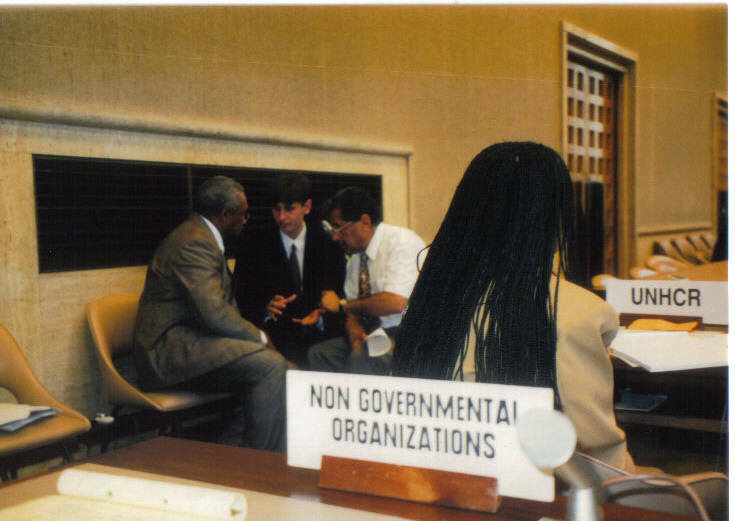 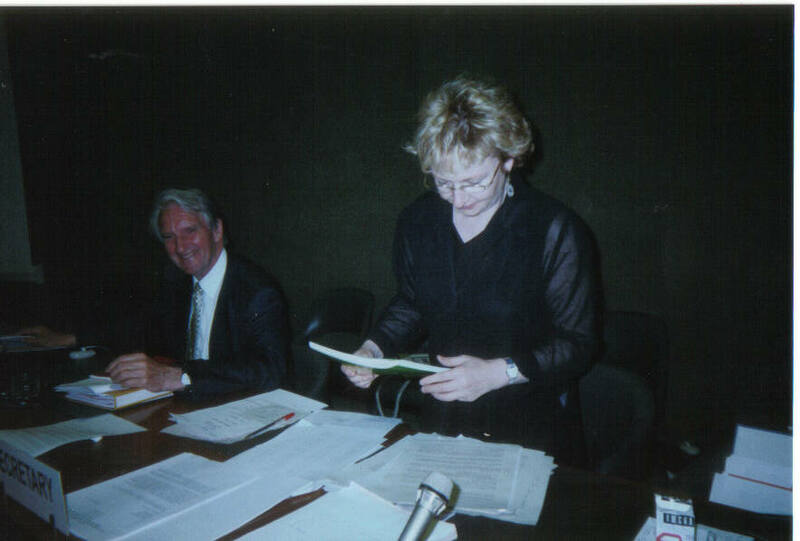 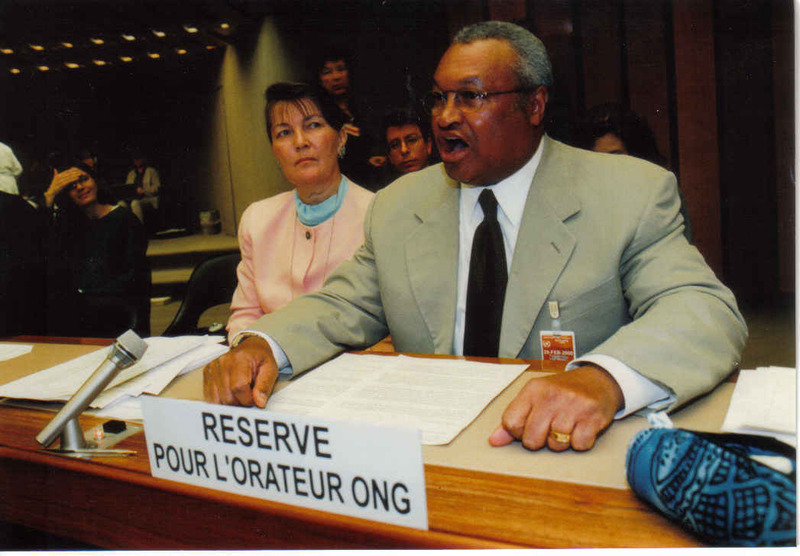 1998 to 2000 – Mr. Silis Muhammad delivers his first oral intervention in 1998 before the Working Group on Minorities. 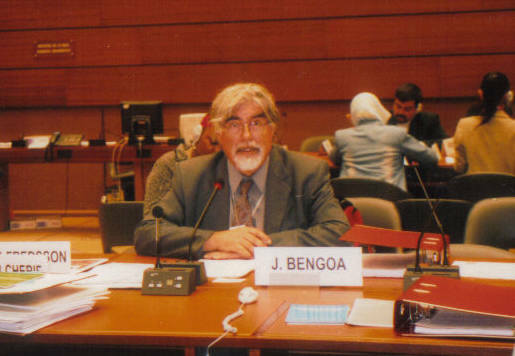 He goes on to speak before the Sub-Commission and the Commission on Human Rights. 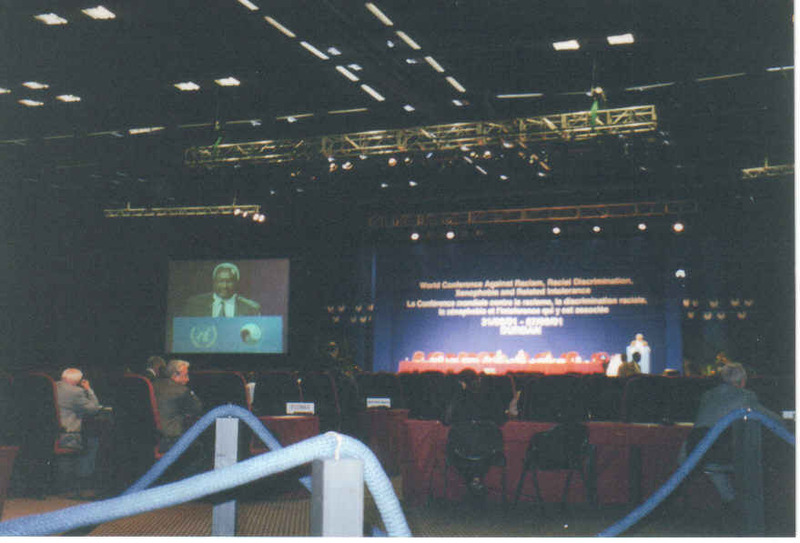 Conference photographer takes a picture of Mr. Silis Muhammad speaking before the Commission on Human Rights in 2000. 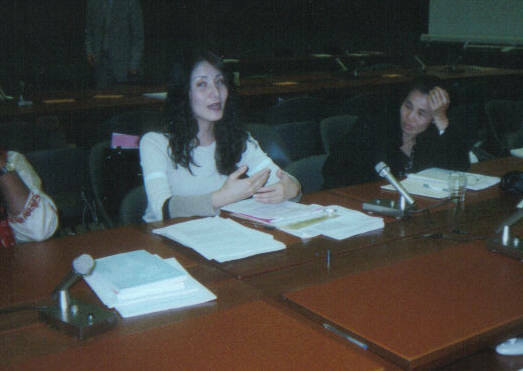 Ms. Atsuko Tanaka of IMADAR helped AFRE delegates become familiar with the ins and outs of intervening at the UN.